This run is a fun combination of trendy commercial area, upscale residential district, two bridges, and a a river. San Marco Square is known for its incredible dining, upscale trendy clothing boutiques, and sensational art galleries. 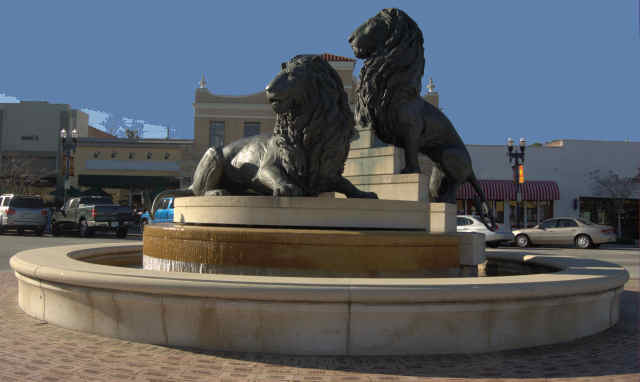 Our route starts at the Lions, which reflects the neighborhood’s association with the Venice, Italy business district. From there, head down the picturesque San Marco Boulevard to the iconic Friendship Fountain on the Southbank, overlooking the sparkling St. Johns River. Then cross over the Main Street Bridge to the busy Jacksonville Landing, and onto the quiet Northbank RiverWalk to the bustling Riverside neighborhood. The route can be extended east or west along the riverfront path. It’s about 1 mile east from the Main St. Bridge to the stadium complex, and 0.8 miles west to the Warren Bridge.